We had a lovely day at our friend’s picnic. 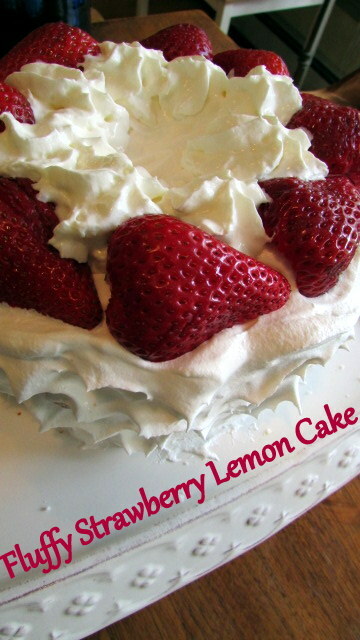 Since I was short for time, I pulled this Easy and Delicious Fluffy Strawberry Lemon Cake together after cooking all day. 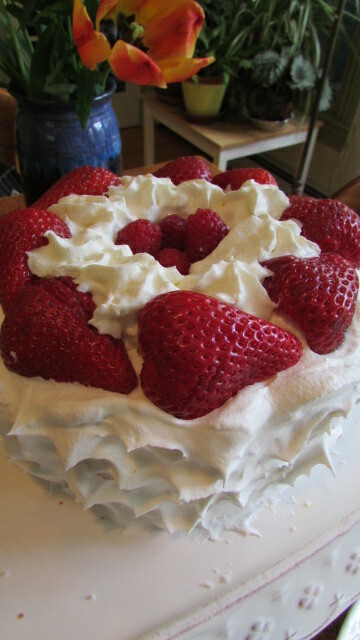 You can always bake an Angel Food Cake if you have more time available. 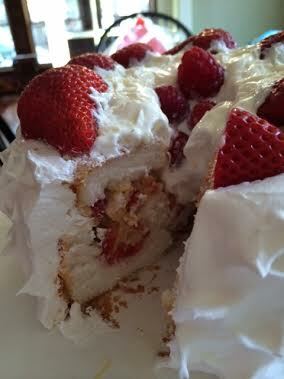 But since I didn’t, I used a bakery Angel Food Cake. My daughter chopped the berries and decorated the cake for me, I think she did a beautiful job. Our friend’s and family loved the cake,. Try it with blueberries and raspberries if strawberries aren’t available. Cut ¾-inch-thick slice off top of cake; set slice aside. Carefully hollow out center of cake, leaving 1-inch-thick shell on bottom and sides. Reserve removed cake for snacking or other use. POUR milk into medium bowl. Beat with wire whisk 2 min. or until well blended. Stir in lemon peel. Remove ½ cup of the pudding; place in medium bowl. Set aside. Spoon chopped strawberries into cake shell; spoon remaining pudding over strawberries. ADD whipped topping to reserved ½ cup pudding; stir with wire whisk until well blended. Spread onto top and sides of cake. Garnish with strawberry halves and raspberries. 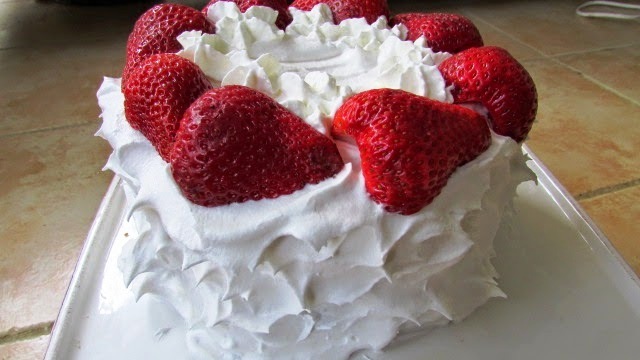 Place uncut cake in freezer 30 min. before slicing for easier handling. That cake looks awesome, Nettie!!! Congrats for also being featured in this week’s Olive and Grapevine newsletter!